The European Court of Human Rights (ECHR) rejected Poland’s appeal to overturn a criminal investigation into officials working at a secret prison used in the CIA torture program. The Polish government now has to conclude its investigation and pay damages. The original July 2014 ruling by the court included a demand that Poland swiftly conclude a criminal investigation into the jail in question – code-named Quartz – and pay compensation totaling $262,660 to two men who were held and tortured at the site. Both men are still imprisoned in the United States in the Guantanamo Bay prison complex in Cuba. “Poland is required to finally conduct a thorough and effective investigation, make public information concerning its role and hold those responsible to account,” Helen Duffy, the lawyer for one of the men, Abu Zubaydah, said of Tuesday’s decision. Alleged Al-Qaeda associate Zubaydah was said to have been waterboarded 83 times during his detention by the CIA. Lawyers for the detainees said the investigation was being deliberately stalled to avoid a politically embarrassing trial, possibly for the senior Polish officials involved, but prosecutors denied that and said the case was complex and needed time. Amrit Singh is a lawyer with the Open Society Justice Initiative who represents the second detainee in the case, Abd al-Rahim al-Nashiri. Al-Nashiri is allegedly involved with the bombing of the USS Cole warship in Yemen in 2000, which led to the deaths of 17 US sailors. Singh said Tuesday’s ruling established a precedent for other countries. “This judgment sends a message loud and clear that European states that collaborated in the CIA torture program cannot evade accountability,” she said. Other countries with known black sites for the CIA’s rendition and torture program include Romania and Diego Garcia, as well as Pakistan, Afghanistan, Morocco and Thailand. The court’s decision will add pressure on other European countries to end the secrecy about their involvement in the CIA’s global torture program after the September 11, 2001 attacks on the United States. The release of the US Senate Intelligence Committee report on torture in December revealed numerous details regarding how dozens of detainees were subject to torture – including waterboarding and mock executions that yielded very little, if any, intelligence as a result. After the release of the Senate report, former Polish president Aleksander Kwasniewski and former Prime Minister Leszek Miller acknowledged for the first time that they knew the CIA had been holding people on Polish soil. 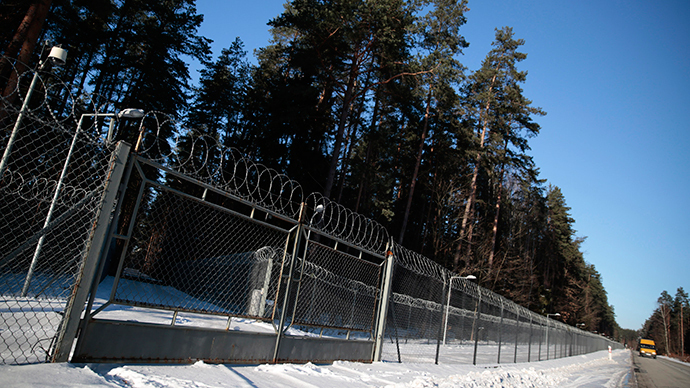 However, they said they knew nothing about what was happening inside the Quartz detention center, located in a villa on the grounds of an intelligence training academy in a Polish forest.